Amplifying the impact of an eco-friendly cleaning product. Do you know what’s in your soap? If you’ve experienced irritation, allergic reactions, or other negative health impacts, it could be the result of the nasty ingredients in your detergent or cleaning products. 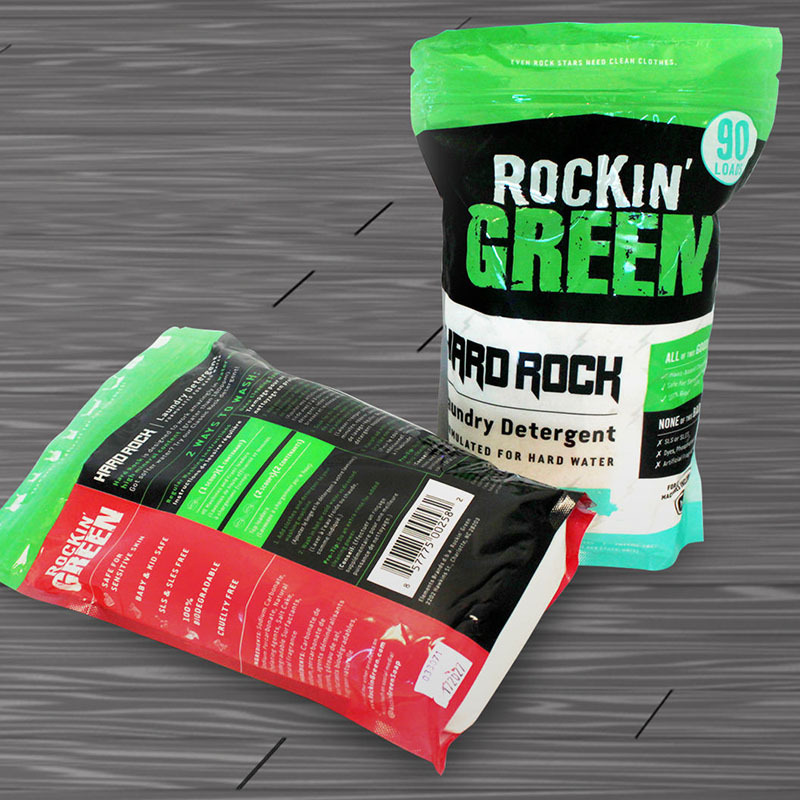 Rockin’ Green provides an alternative that is better for your body, better for the planet, and safe for babies and kids. 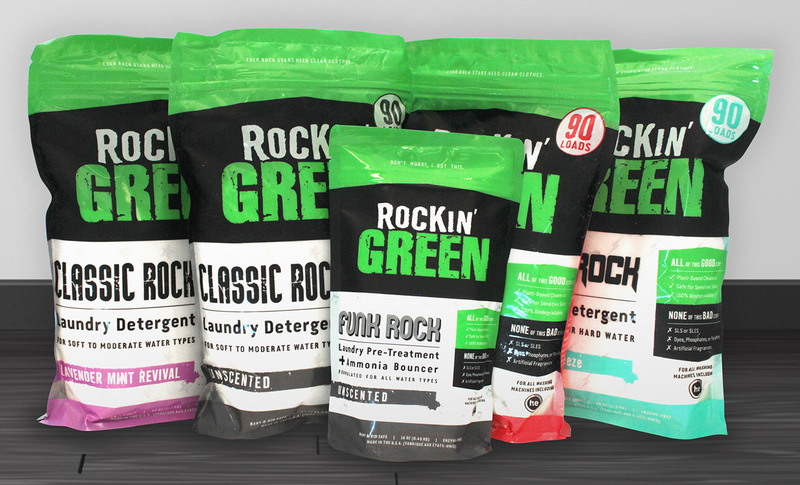 Using only biodegradable, plant-based, and petroleum-free surfactants that are septic and grey-water safe—and never tested on animals—Rockin’ Green is the perfect solution for those who demand safe, earth-friendly cleanliness of the highest order. Domoto’s relationship with Rockin’ Green was happily serendipitous. We initially met during our very first voyage to Expo West in Anaheim, CA. After being given several product samples, we found ourselves impressed by the product and its commitment to using natural, eco-friendly ingredients. Years later, Domoto was delighted when they came to us with the objective of updating their brand and product packaging. Working with Rockin’ Green is exceptional because we are able to blend creativity, music, and sustainability all in one brand. How could you not love working with products called Hard Rock, Funk Rock, and Classic Rock in scents such as “Smashing Watermelons” and “AC/DSEA Breeze”? Throughout the brand development and design process, we examined influencers from all rock n’ roll genres across relevant time periods, drawing inspiration from concert posters, t-shirts, and album covers in order to develop a refined brand identity, product-specific typography, color palette, and iconography with a hard-hitting, yet playful, feel. Ultimately, we designed product packaging and labels across all form factors housing powdered and liquid detergents in a variety of scents, with respect to preserving existing brand equity, but with a fresh look and feel. 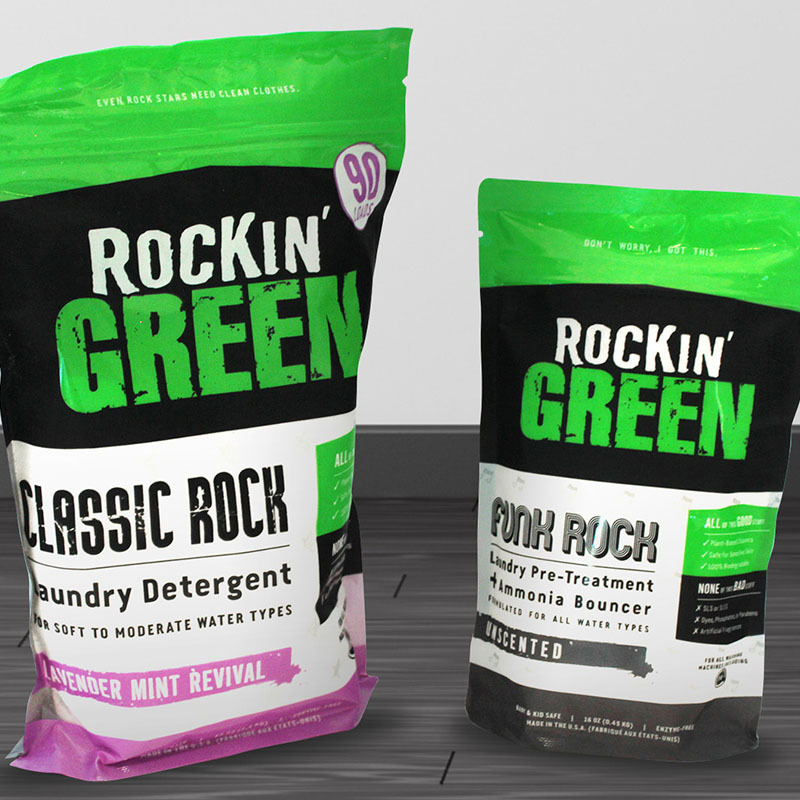 So, if you’re looking for a better way to clean, we encourage you to pick up some Rockin’ Green and… ahem… ROCK ON!